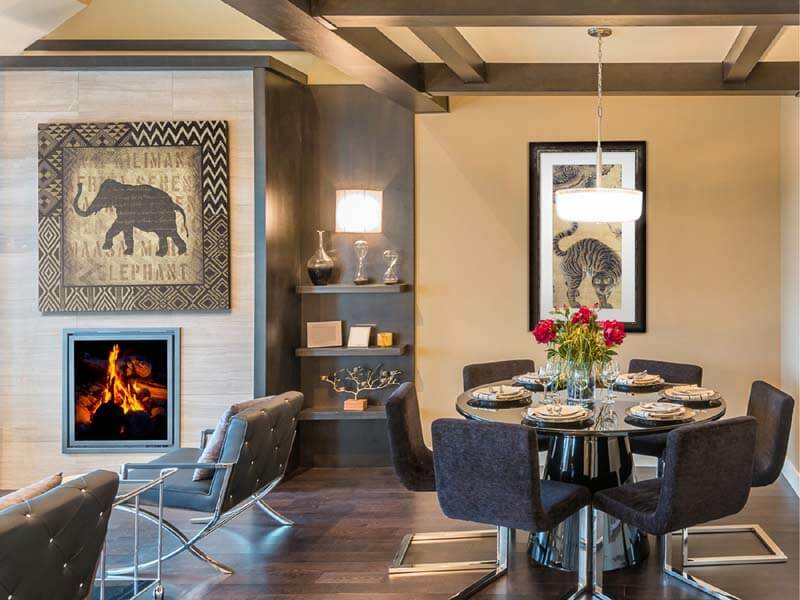 Do you dream of making your space as energizing, inspiring, and intriguing as you are? 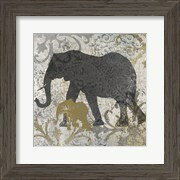 Make those decor dreams a reality with exotic and elegant fine art. 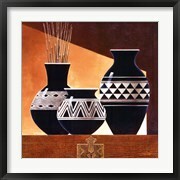 If you long to bring a global feel to your inner walls, then exotic and elegant framed art is for you. 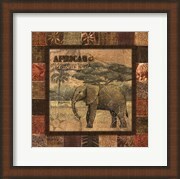 Exotic and elegant framed decor offers dark red colors, deep amber backgrounds, and animals including elephants, tigers, parrots, and lions. 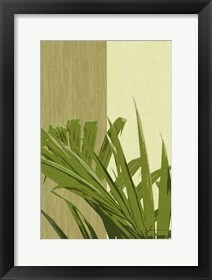 Exotic and elegant artwork brings diversity to your walls and livens up any plain setting. So if you're still looking for that perfect fresh touch to make your home vibrant, keep reading-you may just have found it! 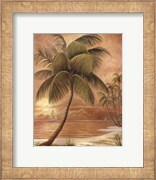 Elegant tropical framed art has a dual capacity for classy and whimsical qualities. 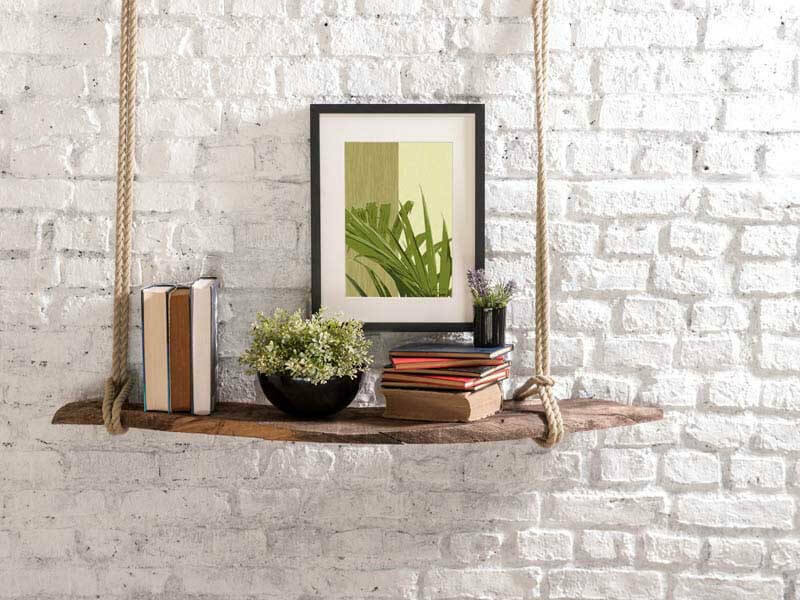 If your space needs a little love with a tropical feel, hang one of the many framed palm tree art prints to add instant life and energy to the room. 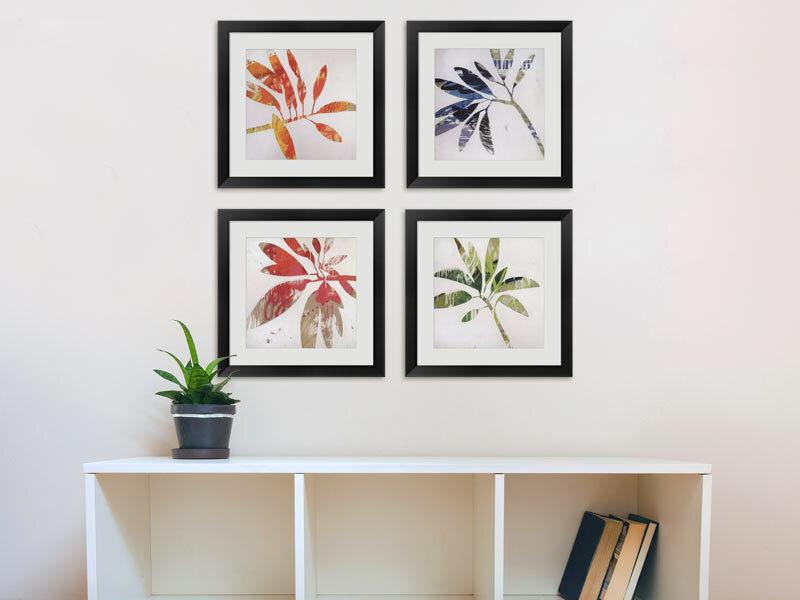 If you're more into abstract patterns, check out the palm tree leaf patterns for a big splash of color that will really catch your eye. For a more intimate or personal setting like a bedroom, consider prints with deep, warm colors-especially in the background. 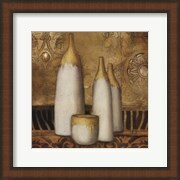 Deep browns, reds and other related colors add warmth and intimacy to the room. 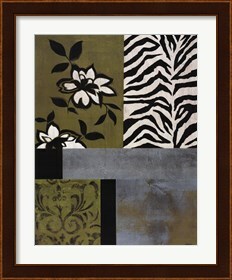 Dark frames or canvas painted sides compliment these pieces well and help give them a little pop to get noticed. 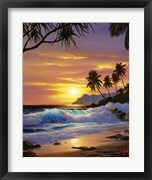 Hanging elegant tropical art in your sleep environment brings a calming and peaceful effect. For a cooler feel that's still plenty tropical, images of peacocks and other tropical birds, fish or wildlife are a great decorating choice. These images are full of beautiful blues, greens and teals - all popular color choices for create and serene and peaceful room in which you can unwind at the end of a hard day. Being an animal lover doesn't always mean you're into just cats and dogs! 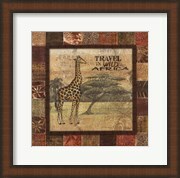 Giraffes, zebras, and tigers are some of the many exotic creatures that are adored by animal lovers. 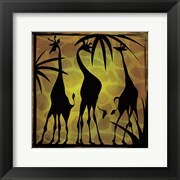 An amazing selection of these graceful animals can be seen in exotic safari art. 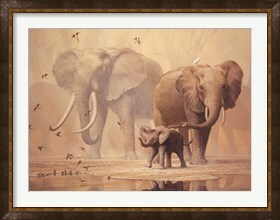 Only in exotic safari art can you have an image of a train of elephants walking across the desert, black and white zebra prints, or a majestic lion silhouette. 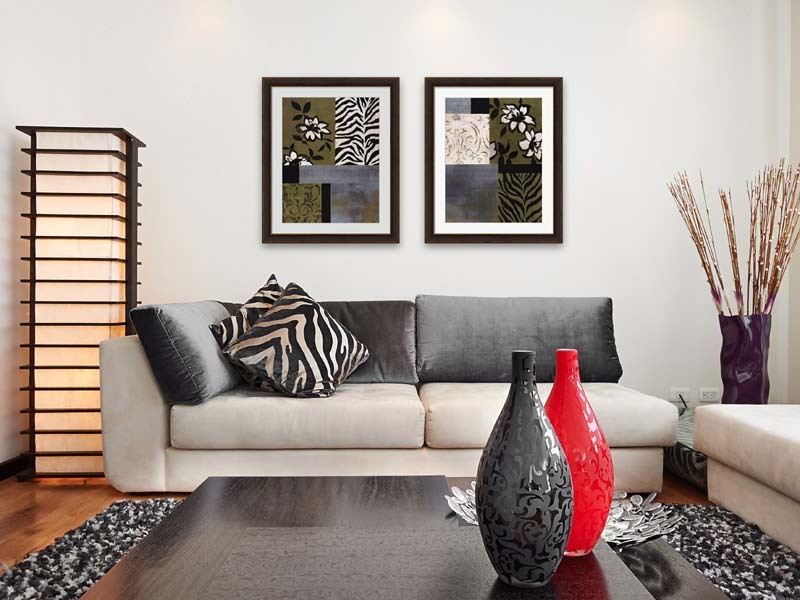 These safari animal prints not only add great decor to your room, but they are an excellent example of courage and strength - adding a more powerful feel to your space. 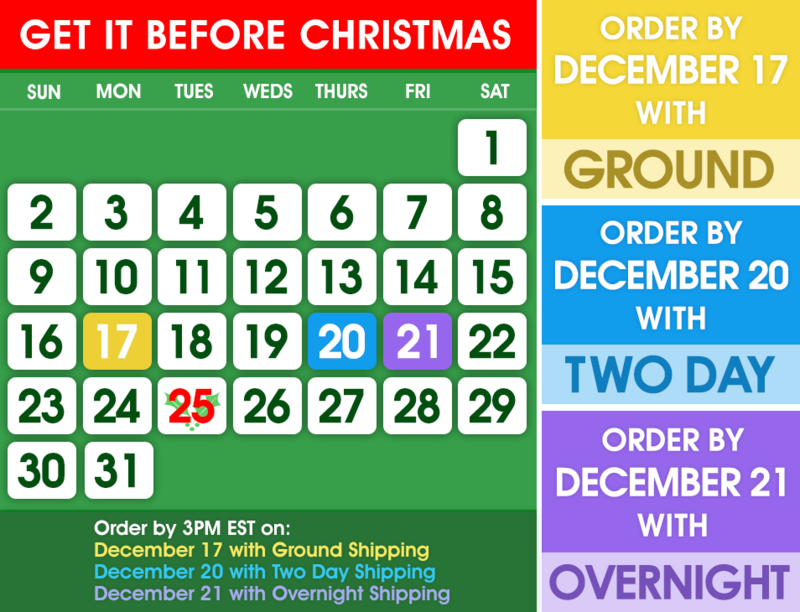 Their boldness and grace are sure to inspire you. Not all exotic safari art is about wild safari animals. 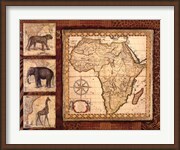 This fine art category also contains patters, maps of Africa, tribal vases, vintage travel prints and more. 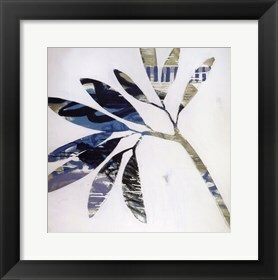 You can find art to transform any room from your bedroom at home to a corporate office. 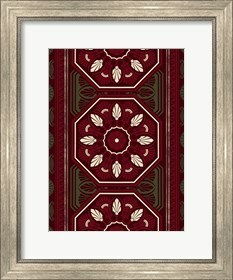 Once you find an exotic elegant print, you'll want to choose a frame finish to complement and also protect it from damages. 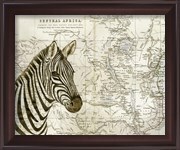 We offer an excellent choice of frames that can be considered exotic or safari related. 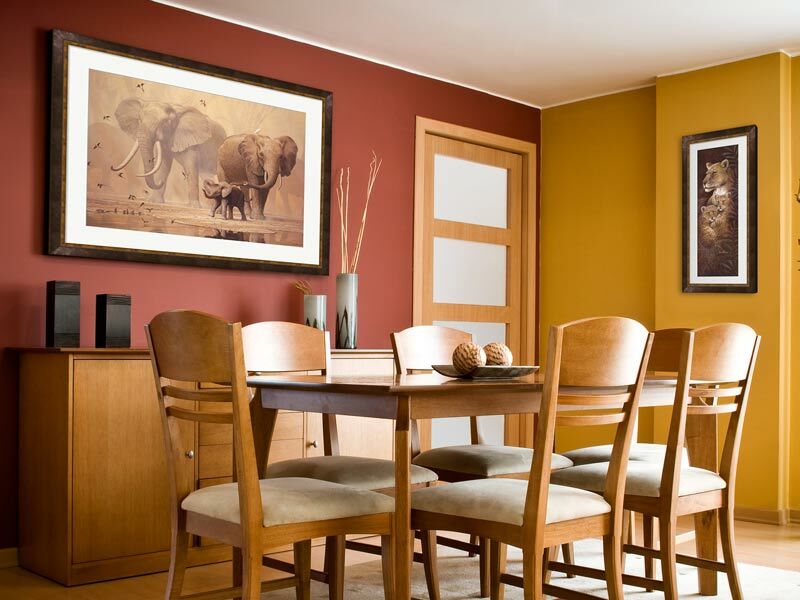 Brown, cherry, natural or gold frames can be used depending on the colors used in the piece you chose and the other decorative items in the space. 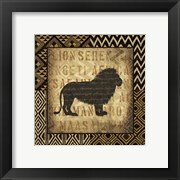 Wooden frames are a great choice for exotic safari art as they continue the natural feel captured in these magical images. 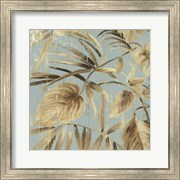 If you're into patterns, then exotic and elegant is definitely the way to go. 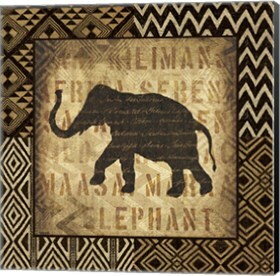 Popular exoctic and elegant patterns for decorating include African-inspired, shapes and animal prints. For a more natural and earthy approach, decorate with leaf and flower patterns which generally include greens and aqua tones. 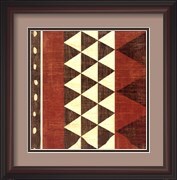 The color range for exotic and elegant patterns extends far than just those though. In both exotic safari and elegant tropical prints, you'll find every color you can possible imagine represented. 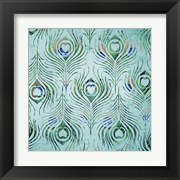 Exotic and elegant patterns relate to life and highlight patterns and images that we often see but overlook. Whether you're into simple patterns or more complicated ones, exotic safari and elegant tropical art pieces have plenty of both. 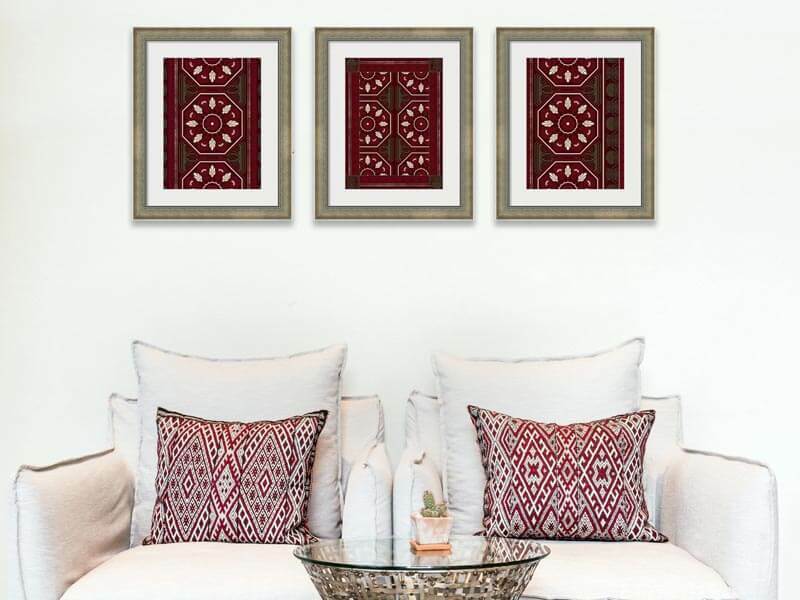 If you can't choose one single exotic and elegant pattern to decorate with, there are framed art prints that create a collage to feature different patterns. 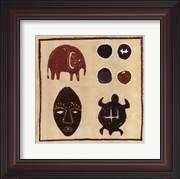 These diverse prints show your love for exotic and elegant art in a unique way. 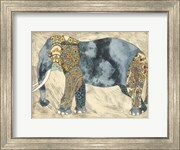 Exotic and elegant prints offer a look and style for everyone. 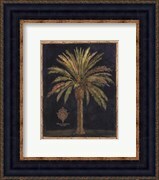 Follow FramedArt.com's board Exotic & Elegant on Pinterest.